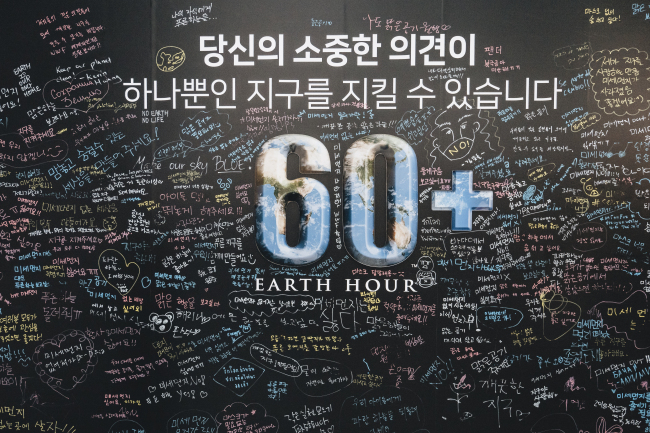 Lights dimmed across the city of Seoul on Saturday in celebration of Earth Hour, a one-hour event that involves switching off unnecessary electricity to conserve energy and take action against climate change. 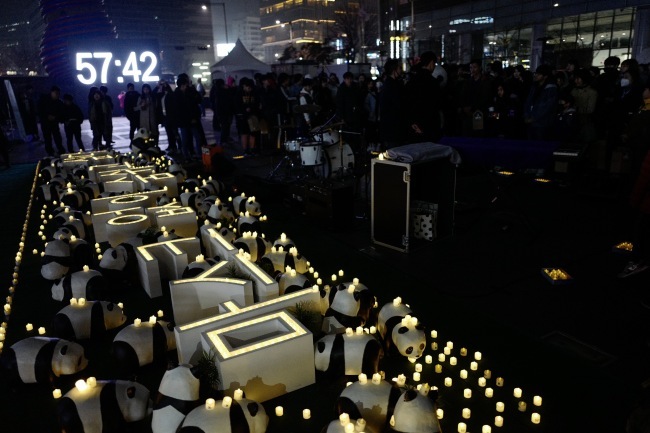 This year’s Earth Hour was at 8:30 p.m. on Saturday. 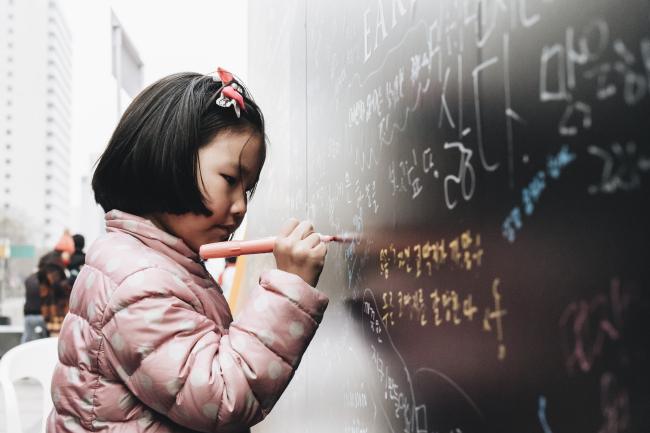 From 5 p.m. on the day, people gathered at Seoul’s Cheonggye Plaza to sign a petition board set up by the Worldwide Fund for Nature in celebration of a movement to connect to the Earth. Visibly high levels of fine dust were noted on the same day, highlighting the necessity for stepped-up efforts to tackle climate issues prevalent around the globe. 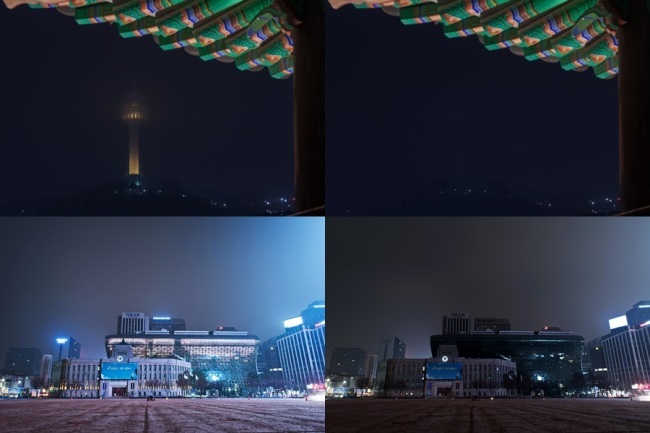 When the hands of the clock struck the set time, lights simultaneously went off around the city, including at N Seoul Tower and Seoul City Hall. Herald Corp. also joined the movement. 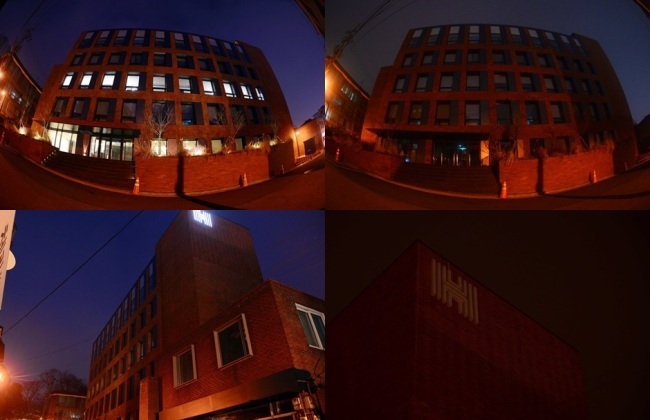 Landmarks around the globe also switched off their lights. In Paris, the Eiffel Tower went dark. In London, a variety of landmarks including Tower Bridge, Big Ben, Piccadilly Circus, Buckingham Palace and London Eye switched off their lights. Lights were also dimmed at various signature structures across the globe including Sydney’s Opera House, New Delhi’s great arch and the Empire State Building in New York. 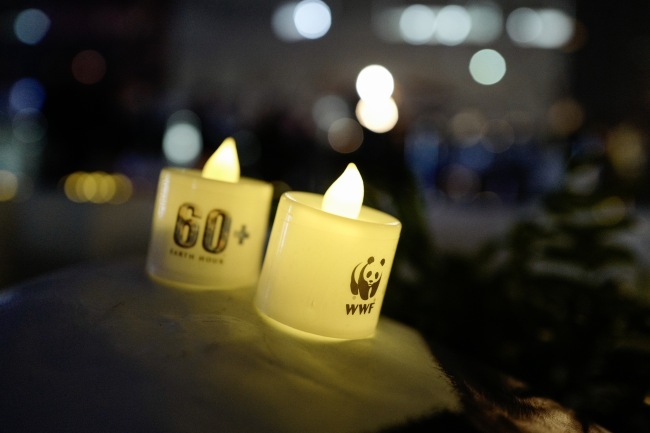 Earth Hour is a global call for international unity on the importance of addressing climate change. The movement first took off in 2007 in Sydney. It has since spread to more than 180 countries.